The thyroid gland is the main gland for metabolism in the body. Low thyroid levels lead to poor digestion, low digestive enzymes and therefore constipation. It can impact neurotransmitters in the brain causing low dopamine levels leading to loss of motivation and depression. Low thyroid function can lead to high cholesterol, triglycerides and gallstones. Progesterone receptor sites can be affected also, therefore causing hormonal symptoms for women. The important thing is to be tested thoroughly by having a full panel. A full panel should consist of TSH, total T4, free T4, total T3, free T3, T3 uptake and thyroid antibodies (TPO and anti-thyroglobulin). Having a practitioner who fully understands thyroid physiology and uses functional/optimal reference ranges is important. Lack of ideal thyroid hormones leads to decline in cellular function of all bodily systems. Balancing the body is the main goal of any functional medicine practitioner, not just the removal of symptoms. If you have any of these symptoms it is probable that you have thyroid dysfunction. Hashimoto’s disease is considered the most prevalent autoimmune disorder in the United States. Hashimoto’s autoimmune thyroid disease is a disorder where the thyroid gland is the site of autoimmune attack. Therefore this is really an immune system problem not just a thyroid issue. By focusing on the immune system you can slow the attack and deterioration on the gland itself. If not addressed in this manner, each year more and more thyroid medication is needed as the gland is slowly being destroyed. 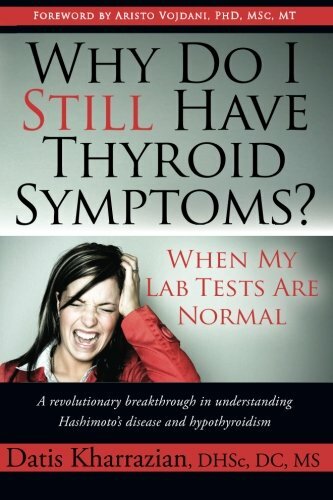 This is why many people on thyroid hormones don’t feel any better. The autoimmune component must be addressed. Once TPO and anti-thyroglobulin antibodies are positive in testing, this autoimmunity is present and can’t be turned off, but can be controlled, suppressed, and slowed. This is great news. An autoimmune condition occurs when one branch of the immune system overrides the other. There is TH1 or TH2 dominance. A dominant TH1 response means that the natural killer cells are over reactive while a TH2 dominance indicates that the beta humeral cells and antibodies are more dominant. These two systems in Hashimoto’s disease are out of balance. When treating autoimmune conditions, it is important to determine which type of dominance exists in the patient. In order to suppress the overactive TH2 system, we would push up the TH1 side therefore creating a seesaw affect and lowering the TH2 dominance. And visa versa for the opposite dominance. Nutritional factors come into play when balancing these patients. For example we know by taking echinacea and golden seal we would push up the TH1 system therefore lower TH2. So if I were TH2 I would benefit from these herbs. If I were TH1 dominant, I would benefit from taking green tea and grape seed extract as this supports TH2 it pushes down the TH2 dominance. This is an effective means to balance to immune system slowing the attack on the thyroid gland.